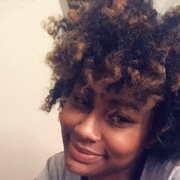 Hello my name is Taje 23 yrs old I'm from Raleigh NC , but now reside in Killeen TX , and I seriously love hanging out with children. They are so full of amazing energy and such a joy to be around. I am passionate about children because you can learn a lot from them, like how to enjoy the simple things in life. I have been working with children for the past 14 years in the position of babysitters, nanny, daycare assistant, preschool teacher, I have worked with all ages from newborn to 12years old. I love working with children and getting to know them and their individual personalities. I also enjoy watching children grow and learn, helping them as they grow and face new challenges in school and life in general. I have a passion for childcare that I can not ignore. I am currently studying Early Childhood Read more Education, I look forward to completing my schooling and becoming an elementary school teacher. Kids are simply my favorite to be around never a dull moment. Taje doesn't have any reviews yet.